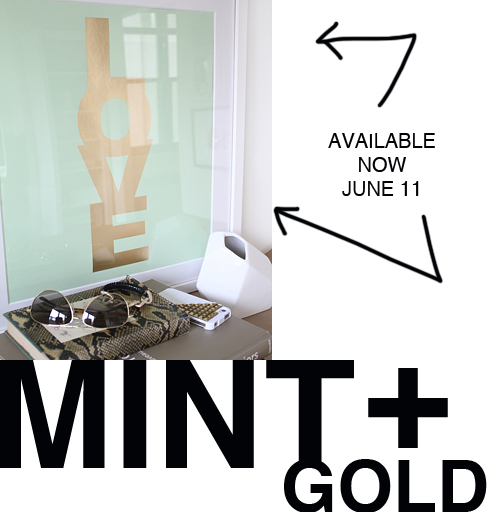 the LOVE candy print in mint+gold is now available at Made By Girl. YAY! Love that print in mint & gold! LOVE it, the mint is perfect! The print look so cute! I love the mint and gold combo!! love the mint and gold! I need to buy one of your Love prints, I just can't decide what color combo I love best! Love it Jen it's so hip. Still determined to own one if your paintings one day have the perfect spot. Oh, that is so pretty. Saw your darling design board over at Chassity's. So cute. Hope you're doing great. So unique, I love it! Would've never thought to combine some of these items but they look fab together Jen! Absolutely love the mint! I may need one to go with my gold and white!